Four months ago with temperatures hovering around 100 degrees, the runners of Sacred Heart's defending Cross Country 3A State Championship team gathered for their first practice of the season. They spoke about their team and individual goals for the season and discussed what it would entail to obtain their goal of finishing as the best team in Class 3A. All of their practices, training runs, team talks, and physical preparations could not have prepared them for their experience at the State Championships on November 13. However, the team was prepared mentally because they knew the weather forecast and witnessed the other state races run the day before. 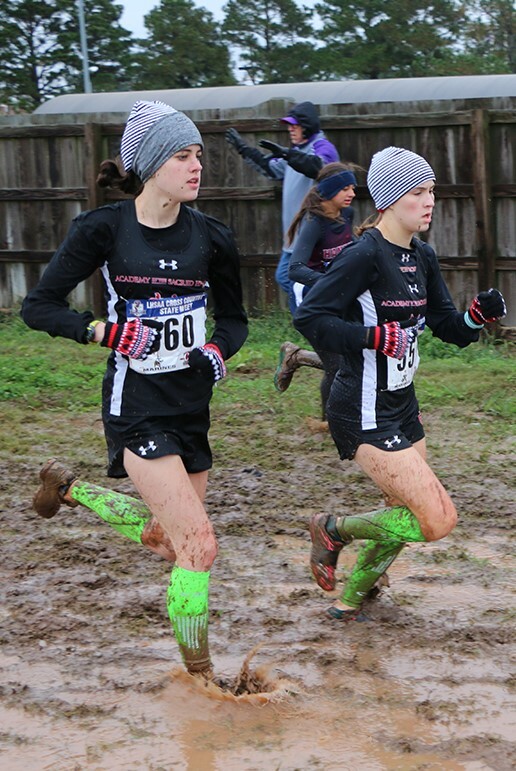 No one ever said winning or running cross country was easy, and the race conditions tested every runner. Temperatures were 25 degrees with the wind chill, 18 mph winds, 4-inch thick peanut butter-like mud for the entire three miles, and 18-inch deep water in some spots. When the time finally arrived for the Cardinals to run their race, the runners did their warm-up as best as they could. Coaches Greg and Jenny Caro tied their shoes and applied duct tape around the shoelaces to keep them from being pulled off in the mud. As the final instructions were given with two minutes before the start, the Cardinals said their prayers, sprinkled the magic dirt on their shoes, and took their places on the line. Next, they were off, slopping mud and water in the air, which landed on the runners within 10 feet of the splash zone. The team focused on staying positive and having fun during the "mudfest," knowing all would be fine in the end. Mary Nusloch '19 took to the front after the first 300 meters and never looked back, capturing her third individual state title. She proved during her final high school cross country race that she is one of the top runners in the entire state as she had to push herself for the entire race while all others chased her. Her career ended where it began seven years earlier, and her drive and leadership will be missed. She ended her high school career as the greatest distance runner that Sacred Heart has ever seen so far. Olivia Boyd '22 ended her freshman season as the individual 3A State Runner-Up and proved to everyone that hard work and goal setting can be achieved if you set your mind and body to it. Boyd followed in Nusloch's footsteps from the start and positioned herself in second at the 300-meter mark. She worked her way around the slop and held back nothing to achieve her individual and team goals for this season. 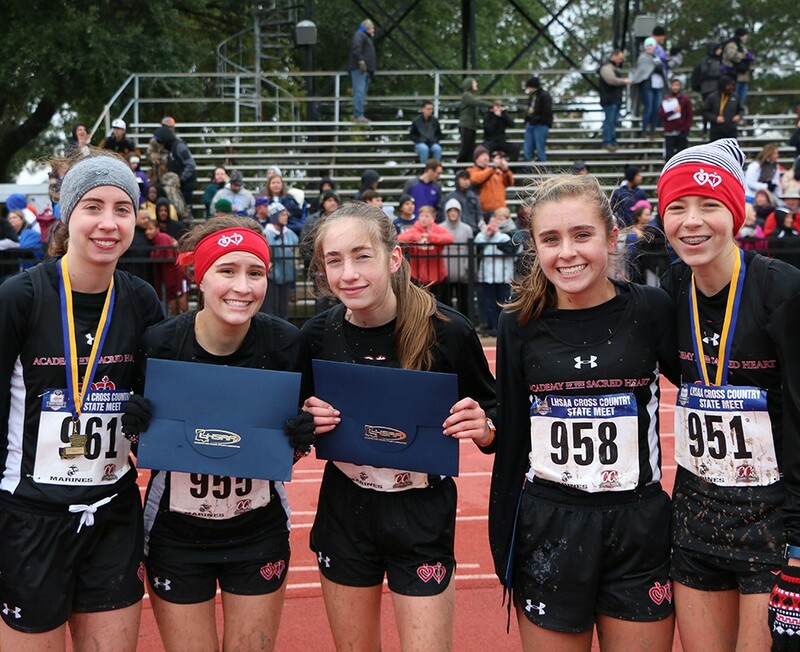 Olivia McGoey '21, competing in her first state meet for the Cardinals, answered the challenge that Coach Greg Caro put before her early in the season. She performed amazing in the adverse conditions and worked her way through the course to finish the race with an amazing fourth place overall. Madeline Kling '19 saved the best for last. In typical fashion, she was determined to make her seventh title run a memorable one. She moved up numerous spots throughout the race and pushed herself for one last time on a cross country course, tracking down runners as the race progressed. With one last surge, Kling passed three more runners and made her way around the final 300 meters on the track to cross the line in ninth place overall. Kling capped off an outstanding career and has had a huge impact on so many team members along the way. Cali Jane Luetkemeier '23 found her stride as the season progressed and finished her eighth grade year with another All-State performance by placing 10th overall. That made five Cardinals in the top ten and solidified the team championship title. Olivia Gaines '20 was "enjoying" the race of her career, running in the top five for most of it. However, around the 2.5-mile marker, she encountered a setback that caused her to stop three times. Gaines proved she has more guts than she left on the course and continued her journey to finish very respectfully in 14th place. Caroline Nusloch '21, running in her first state meet, performed up to her potential. She ran as hard as she could in the conditions and found her way around the course, moving up spots as the race carried on. As she crossed the line in 15th place, a sense of accomplishment came over her face that she was a contributing member of a state championship team. All seven Sacred Heart runners finished in the top 15 - the best ever in school history. They have set the new standard for future runners. 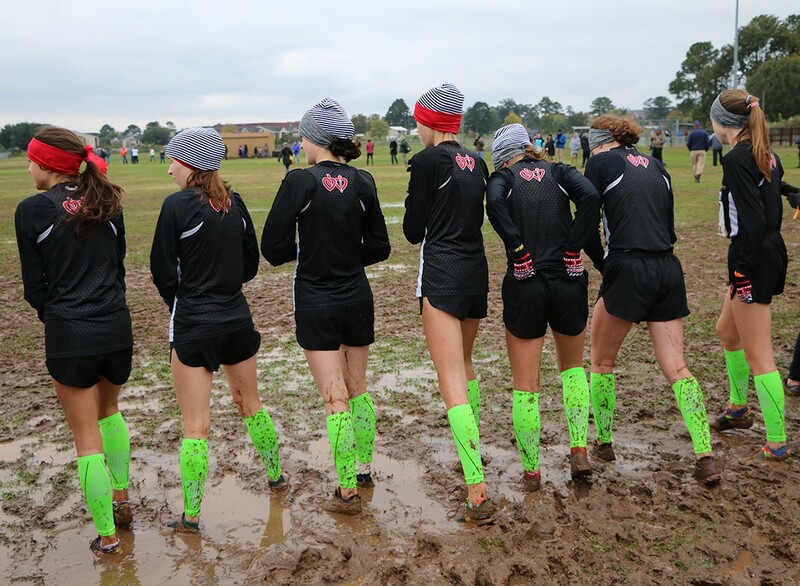 Despite experiencing the worst conditions ever at the state championships in the 45-year history of Louisiana cross country, these young athletes proved once again that hard work does pay off as they captured the state title for the 11th time in 13 years. 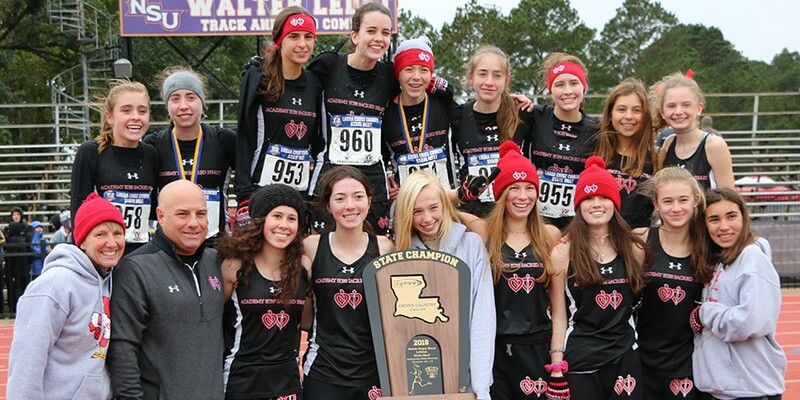 The 2018 State Championships will definitely go down as the hardest ever (at least for now), and the Sacred Heart cross country team can rest easy knowing they fought through it and came out on top as a team.